Chris Calpakdjian is the principal and the licensee of Harcourts Kalamunda. Chris is a REIWA Accredited Residential Sales Specialist, a REIWA Accredited Manager Specialist and a Multi Million Dollar Awardee both from REIWA and the Roy Weston Group. Chris was awarded the prestigious Roy Weston medal for dedication and contribution to the group in May 2010. Chris has lived in Kalamunda since 1986 and has been handling Real Estate transactions and marketing properties since 1991. Chris has a unique insight into the incredible growth the area has experienced during this time, together with a great passion for the beauty and benefits the area has to offer. Performance and success are paramount to Chris, driving him to develop a formidable reputation and track record as a Real Estate Agent. Chris has a very clear view: "In Real Estate, success depends on a combination of factors. Firstly, knowing what your clients require - that means really listening so you can identify their needs. Then there's the advice you provide: every situation is different so you need to give a well considered recommendation. Obviously courtesy and attention to detail are essential." Chris also believes creative marketing plays an important role. Real Esate is a competitive industry: to succeed you have to be highly motivated, enthusiastic and committed to delivering value. Selling property is a major transaction, one that should be placed in the hands of a skilled and accomplished negotiator. To the marketing of your home Chris brings the unique combination of enthusiasm, education, local knowledge and the key factor of experience. Cos has lived in the Hills of Kalamunda for 35 years. He and his wife have raised four sons and three of them have married local Kalamunda girls, so he is very passionate about the Kalamunda Hills and the lifestyle it has to offer. Cos has been successfully selling real estate for the last 15 years and has won many awards. Cos prides himself on being honest, sincere and on achieving the best possible results for his clients. 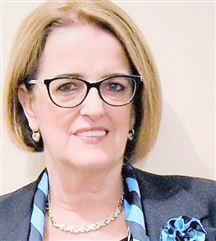 Drawing on excellent customer service skills and her unique understanding of urban development established whilst working in survey mapping and planning, Donna Gibb has become a trusted, reliable team member throughout her real estate career. 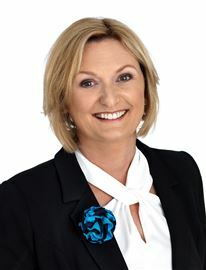 Having completed her Diploma of Property Services Donna is well qualified to handle all real estate queries. 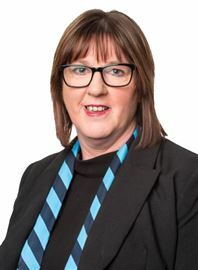 Donna has intimate knowledge of the local area having lived and worked in and around the hills district for over 20 years. For Donna, effective communication, marketing and negotiation teamed with local know-how are key elements when representing her clients with their most important real estate decisions. Recognised by her peers as a REIWA multi award winning Sales Consultant, Donna attributes much of her success to her passion for achieving the very best possible outcome with minimal inconvenience for all of her clients. Having resided in the hills and previously owned a family business in the foothills, Donna has witnessed the vast changes evolving in the locality with the continued growth of our expanding urban sprawl and the recognition of great value property within the area. Donna prides herself on her sincere, empathetic and expert approach to real estate matters and offers you quality support and guidance to help you achieve the right price for you with your next real estate transaction. Gary is a holder of the Diploma of Property Services. He has been in the Real Estate industry since 2005 and has consistently won awards for excellence .With another agency for 5 years. With Harcourt’s he has won even more sales and service excellence awards. Along with the very best in marketing and award winning customer service Gary offers total commitment to achieve the highest possible sales price for your property. Being a Kalamunda Shire resident for over 20 years he has immense local knowledge. In the local building industry for many years he has invaluable advice to give when presenting a property for sale ensuring the highest sale price. Certificates and awards. Rookie of the year sales (previous employment) 2005 Six Million Dollar Club sales award.. 2006 Six Million Dollar Club sales award 2007 previous employment Silver Award 2007 Harcourts Sales Excellence award 2008 Harcourts Bronze Sales award 2010 Harcourts Bronze Sales Award 2011 Triennial Certificate (Diploma of property services) 2011 Harcourts Ruby Pin Sales Award. Thirty Million Dollars in sales FREE SERVICES Gary provides a wide range of services all free of charge. * Full property reports * Comprehensive market reports of your suburb. * Sales histories and listing details of any property in your street. * Property appraisals for sale. * Business appraisals and financial advice with in house finance expert Mark Boag * Maintenance and condition reports (Painters Registration 5667) * Pre sale facelift advice. An invaluable service to sellers. * Current state of the market reports and trends. * Blue Book registration and email updates * Local community information and what’s on updates. * Register of hand picked and recommended trade professionals. Geof, wife Gaye and daughters Carly & Belinda, have lived in the Hills for many years both in Lesmurdie and Kalamunda, with Belinda now settled in Bickley. 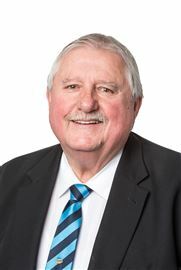 I have been working in Real Estate for a great part of that time initially with Lesmurdie Real Estate then moved to Harcourts (under its former business name of Roy Weston). I have served the community through my volunteer roles as President and Committee of Lesmurdie Club Inc. for the past 12-13 years which has introduced me to many people in our district. In my earlier adult life I served in the armed services in Vietnam and New Guinea and as a veteran am a member of Kalamunda—Darling Range RSL. I enjoy Real Estate, I enjoy people and I understand the stresses when you are selling a prized possession, your home. I can assist you in making your sale and purchase as stress free as possible. Call me anytime for an approval or just to have a chat. Philip Calpakdjian was born in South Australia then moved to Western Australia as a small child in 1986. Phil was raised in the hills going to local schools Walliston Primary School and Mazenod College. He then went to Thornlie TAFE to complete an apprenticeship in Cabinet Making. Phil spent the next 13 years working in this industry dealing with builders and clients building and selling furniture off the showroom floor in Guildford and Malaga. Phil enjoyed helping people in designing and choosing their furniture giving him invaluable experience in working with people. Throughout his life in the hills Phil has been involved in various local community groups including cub scouting and sporting clubs. He continues to be an active member of the Lesmurdie Tennis Club. Phil spent the next three years in Exploration working for a mining company which sent him all over Western Australia working with the local people, drillers and geologists. He was also a valued member of the Emergency Response Team for both under ground and open pit mining. Phil is now challenging himself with a new career and has followed in his fathers footsteps moving into Real Estate with Harcourts Kalamunda. Growing up in a household where Real Estate was a regular topic of conversation has made Phil's transition into Real Estate easier. Phil has lived in the High Wycombe area for the past 10 years. He has bought and sold several homes in this area so he understands the shifts in the property market in the hills and foothills. Phil understands your home is often your most prized possession and your biggest asset and this can mean selling or buying your home can be a very stressful and even frightening time. However with the right Real Estate Agent, one who prides himself in his professionalism , honesty and respect for both his client and the buyers Phil is sure the sale will run smoothly and will be an exciting experience. So give Philip Calpakdjian a call today and discuss what he can do for you. 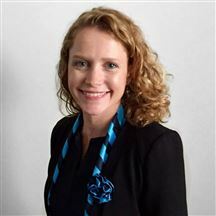 Jennifer’s passion for Property Management started in 2004 and she commenced her current position as “Head of Department” with Harcourts Kalamunda in April 2018. Born and bred in W.A. Jennifer has previously worked in Managerial positions in the Mining & Hospitality industries. Jennifer is a great asset to Harcourts and enjoys working within a close knit team who take pride in their reputation for building strong relationships with all their clients. Kelly is a Kalamunda Hills local who has recently returned to the area from abroad. As a private property investor and landlord for over a decade, Kelly brings her experience and deep interest in Property Management to her career at Harcourts. She’s always happy to help! Aimee has lived in the shire of Kalamunda all of her life. 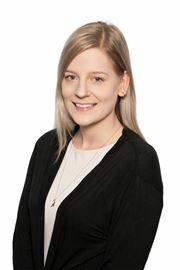 She joined Harcourts Kalamunda in early 2014. Aimee has now been with us for over 24 months and is a great asset to our team. In the 2 years Aimee has been with us she has learnt the ins & outs of Property Management and has been moved in to our Sales department, where she has excelled. Aimee understands the importance of the client’s needs and offers excellent customer service and communication skills. She is a friendly and approachable staff member and strives to make your real estate transaction flow as smooth and stress free as possible. Jo has been in the Real Estate Industry for 30 years. She first began her Real Estate career as a Residential Property Manager, then moving in to a Trust Accounting role, where she really found her niche! She has been involved in Residential, Commercial and Strata accounting and has a lot of experience under her belt! We love having Jo's outgoing personality around the office.